"Phil Hughes was excellent throughout the buying process"
Read our customers' honest and impartial Vauxhall Meriva car reviews and ratings to easily find your next car at Motorparks. 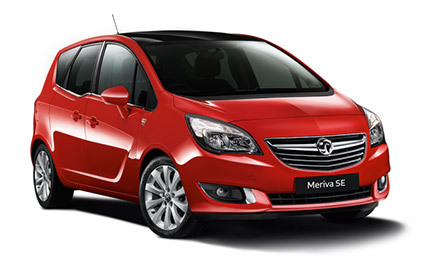 The Vauxhall Meriva is lovely to drive, comfortable seating heated front seats are blissful now the weather is getting colder! and great for families. 3 kids in the back have plenty of leg room and the rear-hinged rear doors make it so much easier for getting small children in and out of the car. The model I have has lots of extras and, although I have owned it for 2 weeks, I still haven't read the manual from cover to cover so have the excitement of finding out even more great features that my car has! For what seems a small car the size and space we have is very good. The boot space is very important to us as a family and this has enough space for what we need - can fit 4 suitcases in 2 large and 2 medium. It also has a nice feel on the inside and with the 'suicide' doors it makes getting the kids in the car easier. Only bad points we have found is that as it's a generic made car some controls in the car are obsolete and can be annoying, but otherwise a very comfortable and easy car to drive.